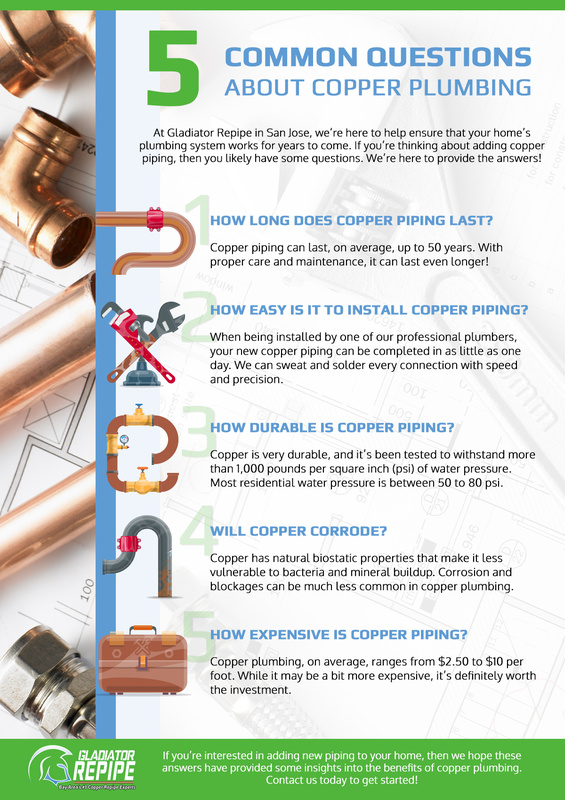 At Gladiator Repipe in San Jose, we’re always here to answer your questions about copper plumbing and home repipe projects. We understand that you may be hesitant and that you may want your questions answered before you schedule a repipe plumber to come to your house and replace your old pipes. 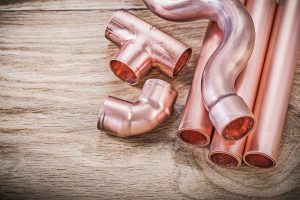 In this post, we’ll look at five common questions about copper piping and hopefully the answers will provide what you’re looking for when it comes to your home. 1. How Long Does Copper Plumbing Last? On average, copper plumbing can last up to, and sometimes longer than, 50 years. With proper installation and maintenance, your new copper pipes could very easily outlast you and even the next family to live in your home. 2. How Easy Is It to Install Copper Pipes? You might think about installing new plumbing yourself, and if you have the skills and the tools, then it can turn out to be a successful endeavor. However, if you’ve never worked with copper before, it can be a bit different than standard galvanized plumbing. You’ll have to “sweat” and solder each connection to ensure there are no leaks. In the end, it may be better to leave it to the professionals. 3. How Durable is Copper Piping? You may be worried about whether or not new copper piping can withstand the pressure as water moves through your home. 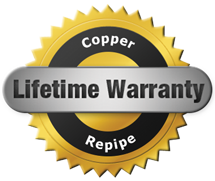 Copper is very durable, and since it’s made to last 50+ years, you should be able to count on the manufacturer’s warranty should anything happen to your pipes. Copper has also been tested to withstand more than 1,000 pounds per square inch (psi) of pressure. Most residential water pressure is between 50 to 80 psi. One of the biggest frustrations when it comes to galvanized pipes is that they can corrode from the inside due to mineral and bacteria buildup. The natural biostatic properties of copper makes it less vulnerable to bacteria, and contaminants have a hard time building up in the pipes. Harmful bacteria won’t grow inside the pipes, causing problems such as corrosion or blockages. 5. How Expensive is Copper Plumbing? When it comes to new plumbing, copper is often one of the more expensive options. PEX plumbing tends to be a bit more affordable, but often doesn’t last as long as copper (usually 40 to 50 years). You’re definitely getting your money’s worth with copper, since it requires very little maintenance and can last longer than 50 years. Think about it — you will likely never have to replace your plumbing again in your lifetime! At Gladiator, we want to make sure that your home’s plumbing is working exactly as it should. 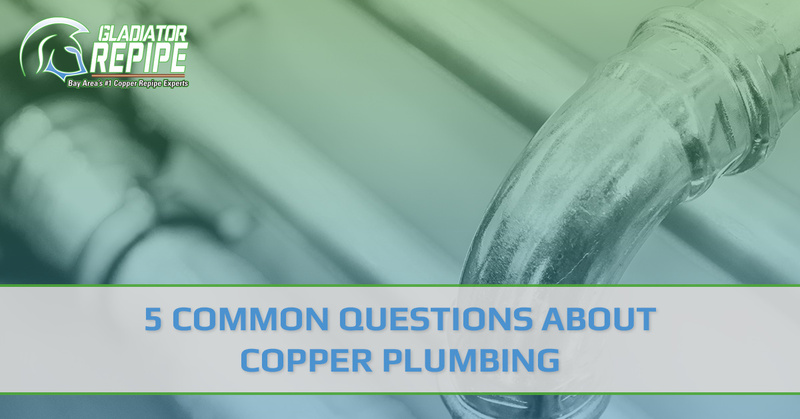 We hope that these questions and answers have given you some insight into copper plumbing and how it can benefit you and your family. If you’d like to schedule a repipe consultation or ask more questions, then please don’t hesitate to call. We’re proud to serve San Jose and the entire South Bay area, and we’re always happy to help however we can.